In the Mesozoic Era crocodilomorphs lived on Earth; they had lots of simillarities with modern crocodiles, but their body was very adapted for marine life and looked like fishes’ one. Their tails had fins, some of them had limbs, that were transformed into fins, and their body was far more gidrodynamical, than body of modern days land and freshwater living crocodiles. Most of crocodilomorphs was fish hunters, but there were big species, that hunted on other marine reptiles; dakosaurus ( from Greek words, that “biting lizard” ) was one of them. Their teeth was flat and serrated, such form is not adapted for small fishes hunting and was adapted for hunting on big reptiles, that has comparable sizes to dakosaurus themselve. 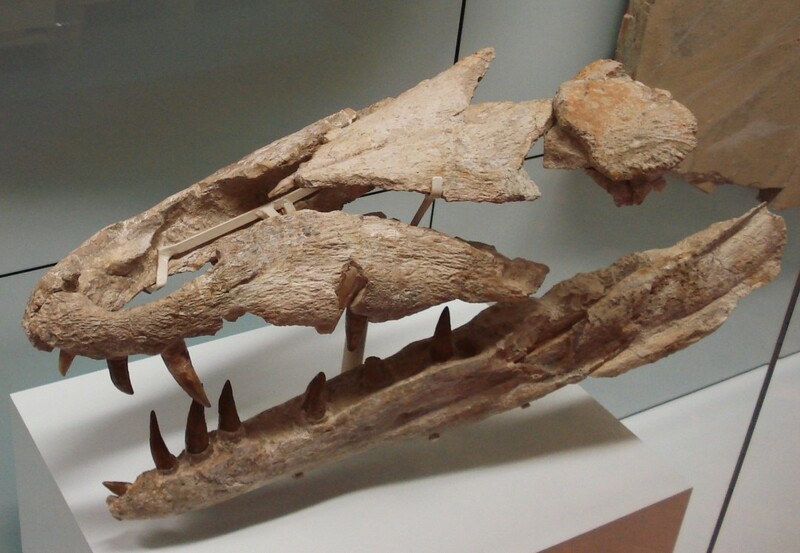 Many of the crocodilomorphs had grooves in skulls, in which salt glands resided. Salt glands is organ, that helps marine animals to remove from themselves excess of salts, that accumulates in them due to constant contact with salt water. For now there are no direct proves, that crocodilomorphs had exactly salt glands in these grooves, but their presence in them is the most probable assumption. Modern day crocodiles are adapted for ambushes tactics on hunting, but crocodilomorphs of mesozoic seas was far more active hunters : their fast body says about this and they had need to swim to surface for air breaths and there is no possibility to do this without leaving cover. In most of areas of mesozoic seas different species of crocodilomorphs lived on one territory and occupied different ecological niches. Their fossils are found in many countries of the world : in England, France, Switzerland, Germany, Polland, Russia, Argentine and Mexico. 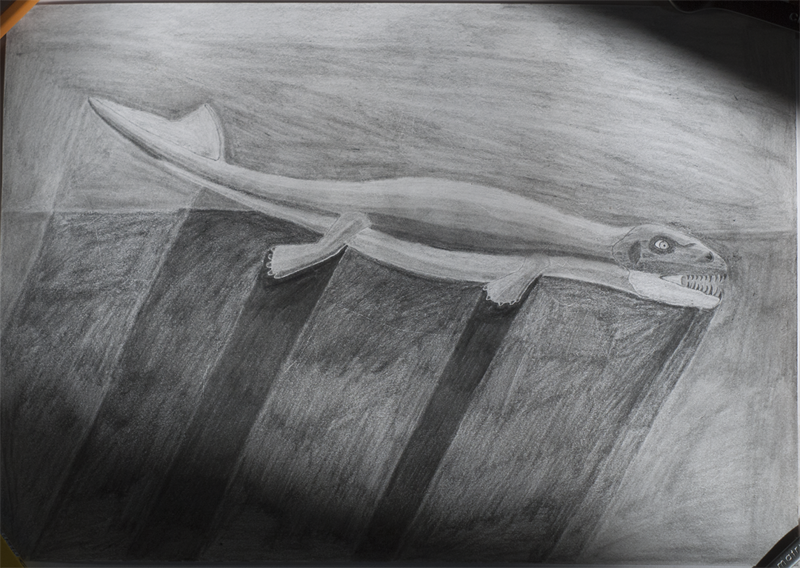 Crocodilomorphs was very adapted for living in seas and for now it is not clear whether they oviposited eggs on land or gave birth to already formed posterity. From one side : they were able to move on land on their fins, like turtles ( but their body made them vulnerable to big land carnivores and they were unable to hide in shell, like turtles ); from other side : they were able to develop viviparity, like their contemporaries ichthyosaurus and modern days whales and dolphins. So, untils nests and eggs of crocodilomorphs or evidences of viviparity of crocodilomorphs are found : this question is still open. Species was first described in 1856 year by paleontologist Friedrich August von Quenstedt.